Kuhn Construction was founded by William J. Kuhn Jr. The company’s first project was the replacement of sidewalks for the City of Newark, a contract valued at $6,500.00 dollars. The company quickly expanded its resume of projects in the 60’s but focused on the construction of wastewater treatment plants for municipalities in Delaware and Maryland. 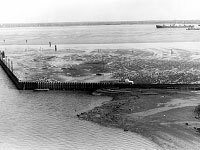 A unique and notable project during the 1960’s was the Reconstruction of the South Jetty in Wilmington for the United States Army Corps of Engineers. This project would be the first of a long list of projects built at the Port of Wilmington. 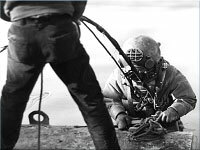 This job was also Kuhn’s first marine construction project. The 70’s were a time of considerable growth for the company. Early in 1970 the company built its first small box culvert bridge for the Delaware State Highway Department now known as the Delaware Department of Transportation. Kuhn continued building small bridges but also started to build longer multi-span bridges on Interstate highways. 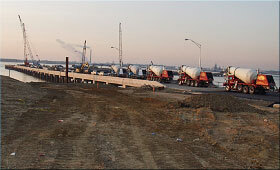 Most notably Kuhn built five bridge structures during the construction of the I-495 Wilmington bypass. During this period Kuhn also performed the Renovations to Fort Delaware State Park for The State of Delaware State Park Division. 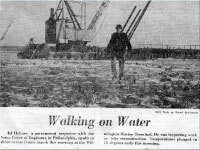 This project was both land-based and marine in that half of the project was located in Delaware City while the other half of the construction was on Pea Patch Island, a small island in the middle of the Delaware River. 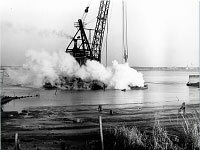 The Fort Delaware renovation was the company’s largest project to date and the start of Kuhn’s pile driving operations for which the company is best known today. The 2000’s saw continued growth by Kuhn in the Subdivision market in Sussex County. Rapid development and expansion in this region along with increased infrastructure to support this rapid growth has forced Kuhn to dedicate the majority of its resources to this area.